It is a wonderful, beautiful expression of love and gratitude to be the caregiver for an aging parent or relative. Those who gave so much through the years may now need daily help to function and be safe. And now it's you who wants to be there for them. Sometimes, being a good caregiver, though, is realizing you may need a breather. It is not the only hat you wear, after all. There are many reasons why families choose Spring Gate Rehabilitation and Healthcare Center Respite Care for their loved ones when they need us. Studies have proven that the goals made possible through programs like Spring Gate Rehabilitation and Healthcare Center Respite Care are more needed than ever. 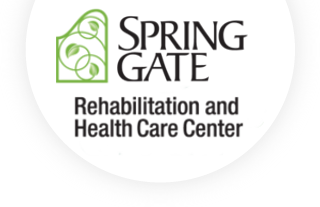 The long-lasting gains for not only caregivers but also for all the family members involved make Spring Gate Rehabilitation and Healthcare Center your choice for quality care.